On March 11, 2011, a 9.1 magnitude earthquake occurred 231 miles northeast of Tokyo. It was the fifth most powerful earthquake ever recorded. Within 30 minutes, a 132-foot high tsunami pummeled Japan's northeastern shoreline. At least 20,000 people died and 2,500 went missing. Around 18,000 people drowned during the tsunami. Over 465,000 were displaced. Many people in the area were elderly. Rescue efforts were difficult due to cold weather and disrupted transportation routes. The disaster destroyed 138,000 buildings and cost $360 billion in economic damage. The tsunami swept 5 million tons of debris out into the ocean. About 70 percent sank, leaving 1.5 million tons floating in the ocean. To make matters worse, the tsunami damaged the Fukushima Daiichi nuclear power plant, creating radioactive leaks. A 30-foot tsunami disabled cooling at three Fukushima reactors. The cores melted within 72 hours. At first, engineers couldn't stop the leakage. Even after they did, it took months to completely halt emissions. One thousand workers died. Radiation showed up in local milk and vegetables. It also briefly appeared in Tokyo's drinking water. Radioactive materials continued to leak into the Pacific Ocean, raising levels to 4,000 times the legal limit. Japan classified the Fukushima breach a level 7 on the International Nuclear Event Scale. This means it was "a major release of radiation, with widespread health and environmental effects," according to the International Atomic Energy Agency. That put it at the same level as the Chernobyl nuclear disaster. Fortunately, the Fukushima nuclear fallout was only one-tenth as bad as in Russia. There, a raging fire spewed radioactive particles into the jet stream for days. It contaminated the surrounding countryside and even made its way to Europe. The "Triple Disaster" devastated Japan's economy in four ways. First, the destruction cost more than the $250 billion cost estimate for Hurricane Katrina. The quake hit northeast Japan. This region was responsible for 6 to 8 percent of the country's total production. That made it worse than the 1995 Great Hanshin earthquake near Kobe, which cost over 6,000 lives and $100 billion. There, rebuilding took seven years. 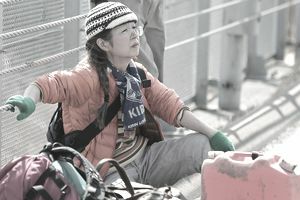 Second, it crippled Japan's nuclear industry. Eleven of Japan's 50 nuclear reactors were immediately closed after the disaster. That reduced the country's electricity generation by 40 percent. Intense public outcry over nuclear generation caused 22 more to shut down by May 2011. Plants continued to be closed for testing and review. By May 2012, the government had closed all of them. As a result, Japan had to import oil to replace generation capacity. This caused record trade deficits. Two plants were restarted in April 2013. They ran until September 2013, when they were closed for maintenance. Prime Minister Shinzo Abe supported safely reopening the plants. Energy imports from the Gulf region cost too much for this indebted nation. They also created too much geopolitical risk. Abe reassured nervous residents that Japan's nuclear safety standards were the toughest in the world. But the higher standards make it more difficult for plants to restart. As of 2018, Japan was not on target to meet its goal of nuclear power providing 20 percent of the country's electricity by 2030. Only 20 plants will be running by then. Despite being the only country to suffer a nuclear weapon attack, Japan decided to rely on nuclear power after the 1973 oil embargo. By the time of the disaster, nuclear power safely supplied a third of the country's electricity. Third, the Bank of Japan provided market liquidity to ensure the stability of financial markets. But the long-term impact was harmful to the country's struggling economy. Rebuilding lifted the economy a bit. But it was outweighed by the increase in the national debt. Even before the disaster, it was already double Japan's annual economic output. Fourth, Japan's economy had just started to recover from 20 years of deflation and recession. It seemed to be on the mend by 2010 when gross domestic product increased by 3 percent. The earthquake only added to the country's economic challenges. In addition to massive government debt, Japan faced rising commodity prices and an aging labor pool. Many wondered if Japan would sell U.S. Treasurys to pay for rebuilding. It did this several months after the Hanshin earthquake, according to Nancy Vanden Houten, an analyst at Stone & McCarthy Research. This would have lowered the value of the dollar, increasing the cost of imports to the United States. But Japan didn't need to sell Treasurys. It was able to finance the rebuilding program from its citizens' savings. The quake and tsunami damaged and closed down key ports. Some airports shut briefly. This disrupted the global supply chain of semiconductor equipment and materials. Japan manufactures 20 percent of the world's semiconductor products. That includes the NAND flash, an indispensable electronic part of Apple's iPad. Japan also supplies the wings, landing gears, and other major parts of Boeing's 787 Dreamliner. Automakers Toyota, Nissan, Honda, Mitsubishi, and Suzuki temporarily suspended production. Nissan considered moving a production line to the United States. A total of 22 plants in the area, including Sony, were shut. The U.S. Geologic Survey reported that the earthquake shifted the earth on its axis. As a result, the earth will wobble a bit more. The quake was powerful enough to shift the distribution of the earth's mass. That causes the earth to rotate a bit faster, shortening the day by 1.8 microseconds. Japan's coastline moved around nine feet to the east and sank around five feet. By 2015, over 200 tons of debris had washed up on Canada's western shoreline. Most of it was plastic. A Harley-Davidson motorcycle was found and its owner was notified. Scientists estimate it will add up to 2 million tons of pollution to the Great Pacific Garbage Patch. The quake set off aftershocks and quakes around the world. Tremors were felt as far away as Beijing, Nebraska, and Cuba. It sped up the pace of glaciers in Antarctica and caused huge icebergs to break off. As of 2018, there were 75,000 evacuees still living in temporary housing. Another 100,000 had been moved to permanent housing since 2016. More than 90 percent of public housing had been completed, according to World Vision. The Fukushima nuclear plants will take 30 to 40 years to fully decommission. High levels of radiation complicate recovery efforts. TEPCO must remove fuel from spent fuel pools, remove rubble, and install a domed containment roof.